No matter where you live in Central Florida, including the beautiful city of Windermere, it’s possible rats may invade your home and take up residence in your attic. Keeping these critters at bay is critical to a clean, healthy and safe living environment for you and your family. Without swift action, the potential impact of these critters heightens. You can attempt to remove the animals yourself, but doing so often puts yourself and your family in danger. Without the proper tools and experience, rat removal can be nearly impossible. Rats are intelligent creatures, and they are quick to identify threats and change traveling patterns to avoid foreign objects in their path, such as traps. In addition, their aggressive nature when threatened can result in severe injuries to individuals who try and remove rats without the proper equipment and experience. 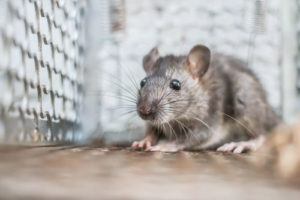 If you think you have rats in your Windermere home or business, trust the experts at Critter Control® of Orlando to resolve the issue quickly and efficiently. Once we eliminate all the critters from your property, our experienced rat exterminators will repair damage caused by the animals and seal entry points to avoid future invasions. Call us today at 407-295-7194 to schedule your free Windermere, FL animal entry inspection and to learn more about our lifetime warranty.